Thanks for taking the time for checking out my site. A lot of big things are happening for Misty and I. Over the next few weeks we will be wrestling in WV, NC, and PA. We also confirmed our return to the Memphis area today for the weekend of July 21. 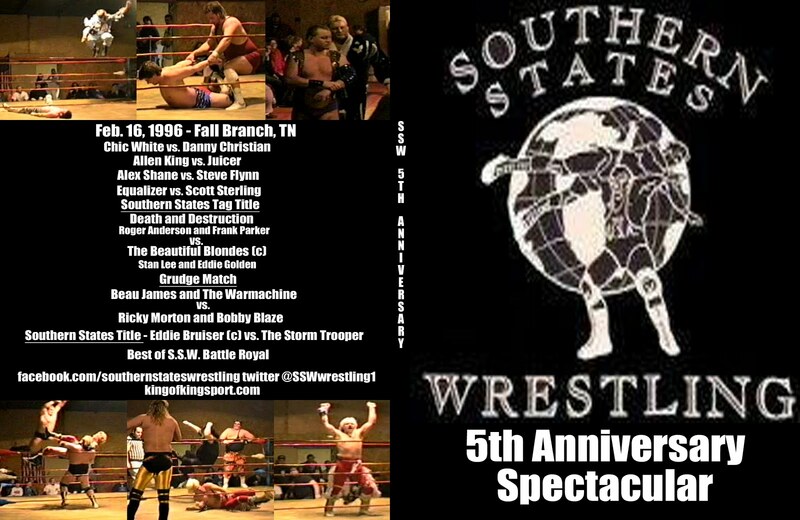 This past weekend we made our return to NWA Mountain State (WV). There has been a few changes made in management up there and it was a complete 180 turn from what it was when I was last there. I was impressed by some of their young talent. 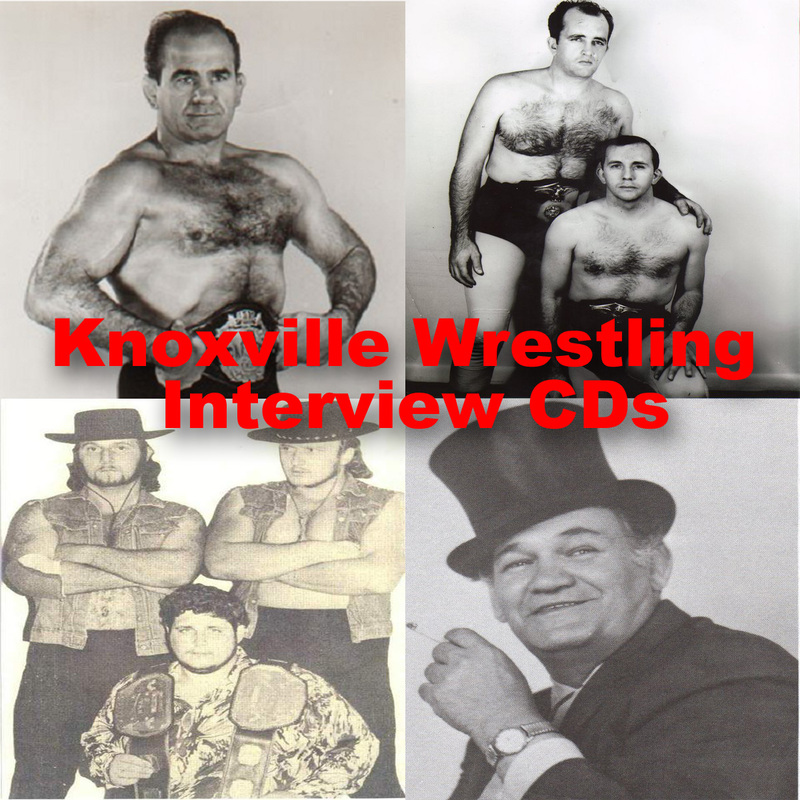 Take a few minutes and check them out at mountainstatewrestling.com . Misty and I will be wrestling for them May 5, 12, and 19. This coming Sunday April 29 3pm Misty and I will be back at Smoky Mountain Championship Wrestling at the SMCW Arena in Waynesville, NC. 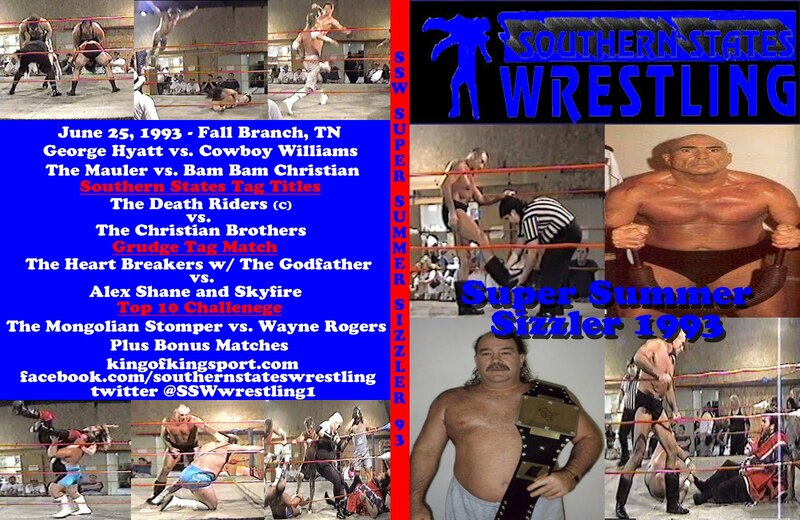 Ricky Morton and The Barbarian will also be wrestling on the card. 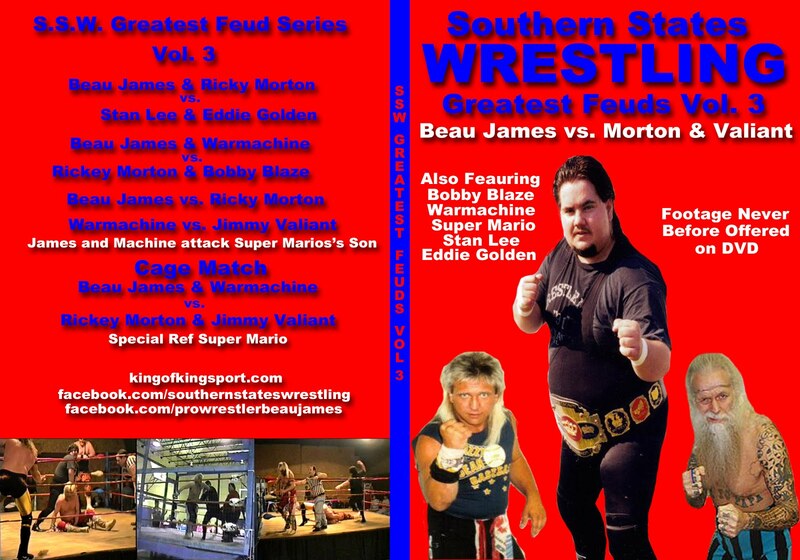 If you have face book make sure you check out the Southern States Wrestling Fan page. Over the last few days I have added several classic pictures, posters, and fliers from the past several years. As I was adding the picture below. I was thinking of how off track my personal and professional life got from 2000 to 2007. I did have moments of good times and success during that time. But nothing like years before. Legal troubles, addiction, bitterness, and a few other distractions along the way got me. All of that is behind me. You know that if you have read my book. If not you can buy it below. 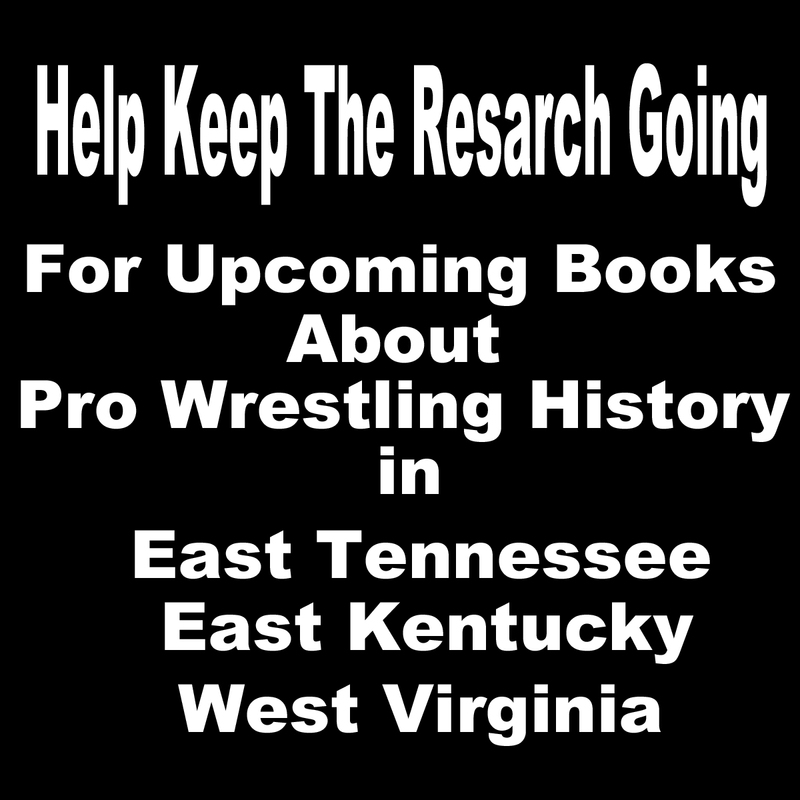 I have spent so much time trying to protect wrestling history and never really thought about what a rich history S.S.W. has. 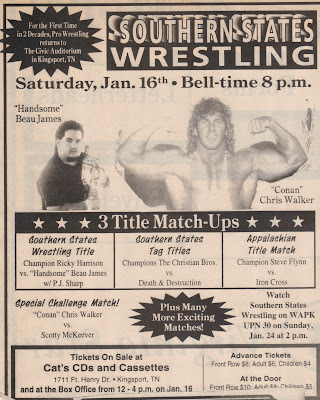 We were first in area with so many first like National Stars as regulars, first to be covered in local media and national publications, first to promote FunFest events, first since Mickey Baarnes to promote events at the Kingsport Civic Auditorium, first to promote Holiday Super Cards, and the first to stumble but keep going. It has been 21 years of trial and error. The trip down memory lane has lit a fire under me. Two of the biggest driving points over the years for S.S.W. was to honor the past and showcase the top young talent. 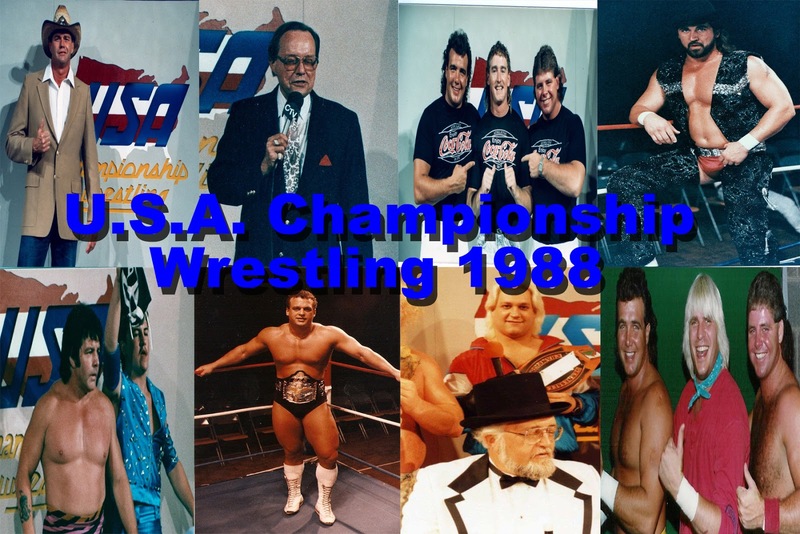 Over the years we have promoted events with legends like Junkyard Dog, Studs Stable, Jimmy Valiant, Rock-n-Roll Express, Fantastics,Tracy Smothers, Arn Anderson, Sherri Martell, Mongolian Stomper, Buddy Landel, and many others. We have also gave a place for guys like Stan Lee, Eddie Golden, Tony Givens, Chris Richards, Robbie Cassidy, and several other stars you see headlining events in the area a place to start, learn, and make a name for themselves. Let's not forget Kid Kash, EZ Money, Andy Douglas, Jillian Hall, and a few others wrestled here before making it to National and World Wide TV. With all that said I have spent the last few days on the phone with talent for S.S.W. events for the rest of the year. The summer is looking good and still waiting on a few confirmations but I can tell you this as of now. On June 16 we have signed a great match featuring two of the best young talents in the eastern U.S. Eric Darkstorm vs. Kyle Matthews. He Has Wrestled for Zero 1 in Japan, Ring of Honor, Evolve, Chikara. 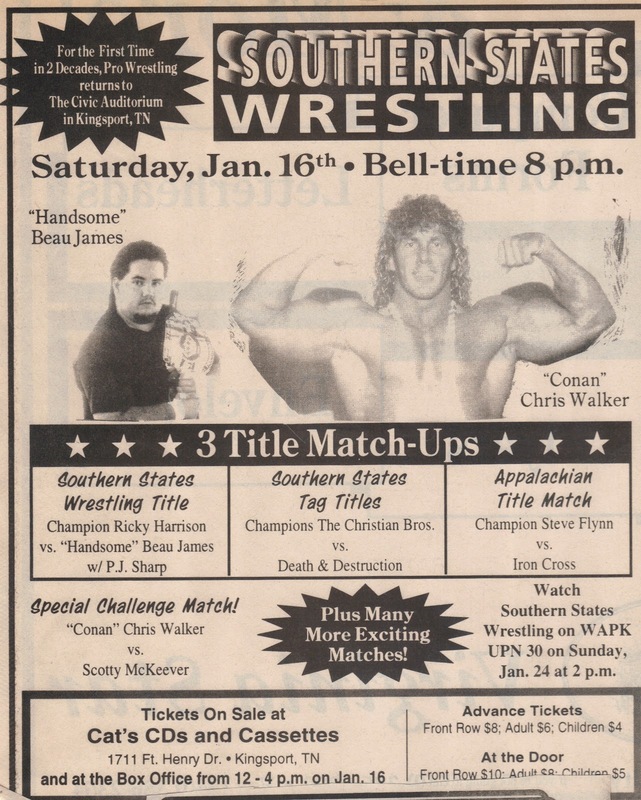 Considered by many to be the top wrestler in the state of Georgia. He received the Future Legends Award at this years Cauliflower Alley Reunion. And Kyle Matthews is on his way to S.S.W. June 16. 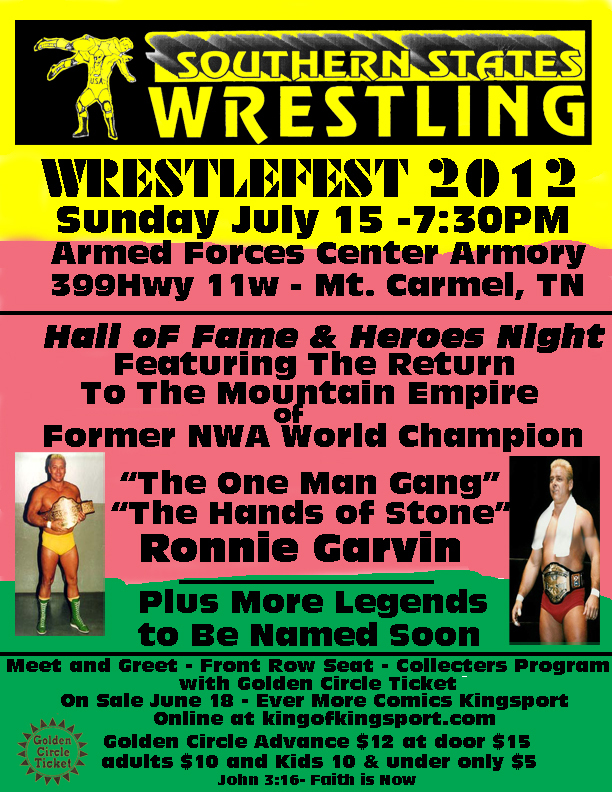 On Sunday July 15 we will present our annual WrestleFest event at the Armed Service Center Armory 399 Hwy 11w Mt. Carmel, TN. Myself, Mac McMurray, and Al Bass are working on this years inductees to the East Tennessee Hall of Fame. 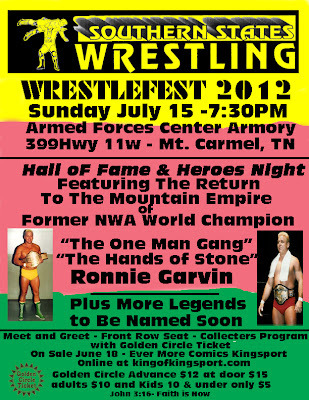 We are pleased to announce that this years event will feature former NWA World Champion The Hands of Stone, Ronnie Garvin!! !